Delphine's place: October Krafty Peeks... Day FOUR and a CHALLENGE! Hello everyone! 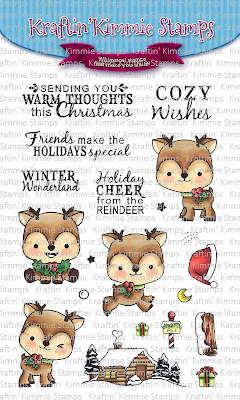 Welcome to Day THREE of the October Krafty Peeks at Kraftin' Kimmie Stamps! Today is our final day of peeks and the LIVE ONLINE RELEASE PARTY is this afternoon at 2pm EST! Hope to see you there;)! Our final set is by fabulous artist Becky Pearce! It's called REINDEER GAMES and it's totally adorable!!! It's also Challenge Day and the challenge is ANYTHING GOES (as it always is during release week)! 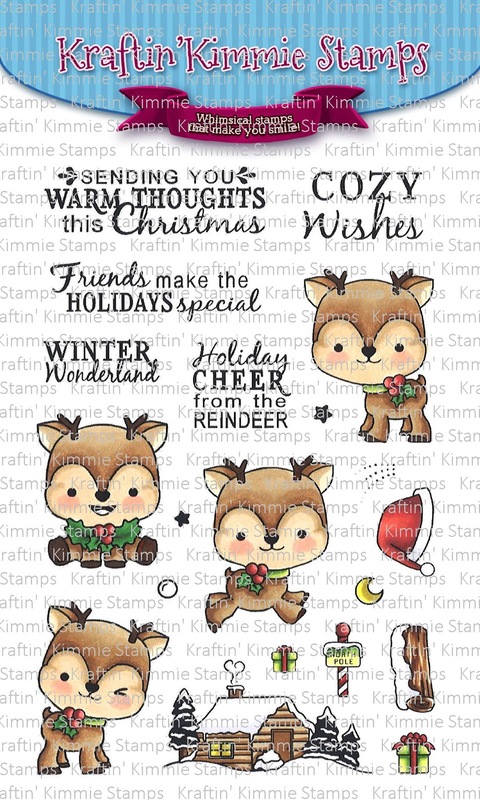 So create a card a card, scrapbook page or altered item with any stamp but if you use a Kraftin' Kimmie Stamp, you'll double your chances to win! We would love to see your KKS designs. At the end of the month, a WINNER will be announced from all the weekly challenges for October! We hope you can play along for a chance to win a $20 Gift Certificate to the krafty shop! Love this sweet winter scene! Beautiful coloring! The card is so pretty! Lovely coloring, design, and embellishments. Oh oh my ! This is such a beautiful and cute card !